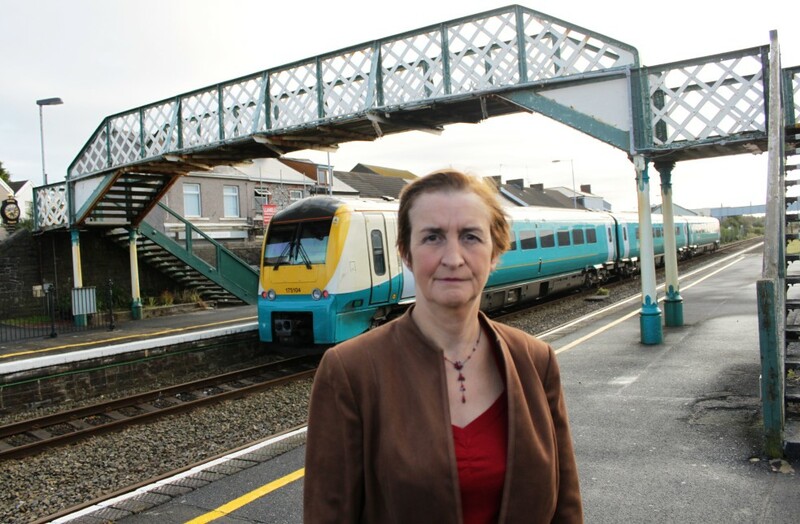 Nia Griffith MP has thrown her weight behind a campaign to keep the footbridge over the railway at Burry Port Station. News that Network Rail intends to dismantle this bridge and leave passengers and shoppers with further to carry their bags has dismayed rail travellers and local traders alike. As well as providing the vital connection between the station’s platforms and between the local shops and the carpark, this footbridge is also of historic interest. It was constructed in 1893, and whilst it is not actually a “Brunel” bridge it is believed to be of Brunel design, and goes over track which is itself of interest, because of the exceptional width between the up and down lines, due to the fact that it once ran Brunel’s wide gauge. There are occasional steam trips run on this line and enthusiasts flock from all over Britain to take photos of the trains going under this bridge.